Ahem….before the naughty ones go overboard on this one, I am talking about my new gadget acquisition. Well, not yet really an acquisition, but, my new Amazon Kindle, an addition to the assortment of extensions to my phenotype, is soon going to be shipped to India. After much ado on “to buy or not to buy”, against all reason, economics and rationality, I placed my order online for the Kindle. Kindle is Amazon’s gadget for reading ebooks. It does a bunch of things. 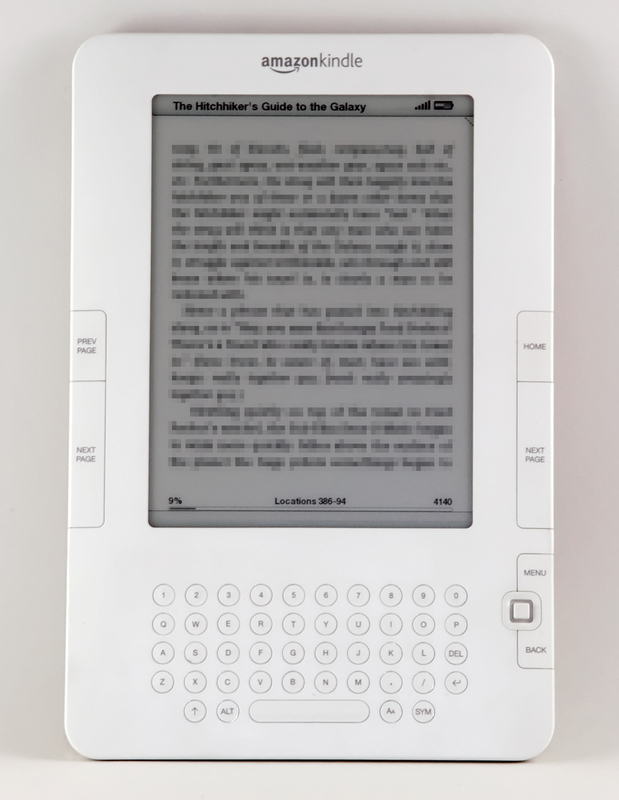 Among many great features it has, is the eInk feature that makes text appear like paper on the reader without glare or backlight. It is very portable, with a great battery life and books can be dowloaded via 3G (whenever that makes it to Bangalore) or through GPRS (which is a good patience test). Enough said by somebody who is yet to own a Kindle…..anyways, all this is secondary information which you can find online in a bunch of places. Chirag gives us a good idea of what to expect here. Ordering a Kindle in India appears to be quite a task. Amazon is loath to selling their products through the guy down the street, and they do not have an Indian site either. Chirag seems to have navigated through some thick red tape and so did Rollercoaster. Am hoping that Bangalore is better and I dont have to sign such declarations here, but we’ll soon see. For those of you who are wondering about its name, there is some complicated connections established to Candle, through Old Norse kyndill. Kindle does mean to set afire, get aroused etc. anyways. Of course, there are all those theories about how Amazon named its product thus to indicate a metaphorical ‘burning away’ of books because of the advent of such a device. All this lateral thinking apart, I am still yet (and probably never will) to get over those good ol’ paper books that mess up my table. Anyways, apparently this guy (who I am sure charged Amazon more than a candle) gave the name to the product based on the aforementioned Norse connection. For my southern friends, there is no connection to Kindal in Tamil which means “to tease”, that in turn might cause arousal. For a good analysis of Kindal of Tamil, Kindle in Norse and many other homophonic words, see Bala Gopalan’s post on inderSTADT. There I am, waiting for my Kindle. This entry was posted in Tech-talk and tagged Amazon Kindle, Computers, Gadgets, Technology. Bookmark the permalink.